As I write this, the temperature is -7 degrees F. Add in the wind chill and it’s minus a whole lot more. Here’s a short winter warming routine we like to give to our horses to keep them comfortable and limber in the cold weather. It helps us stay connected with them, too. Take a size large heating pad and lay it across your horses lower back. Set it to medium heat, then cover her with a Cooler. Warm up a bottle of liniment in bucket of hot water. One of our favorites is Veterinary Liniment Gel by Absorbine. Rub the warmed liniment over your horse’s knees, down the lower leg and around the coronet band. The liniment warms up the legs muscles. 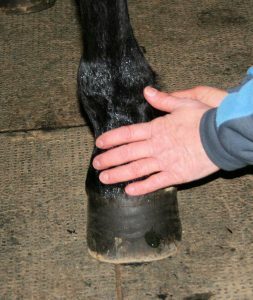 Gently rubbing around the hoof on the coronet band helps to soften and release the fascia. Your horse’s leg muscles will warm and relax. Do all four legs and your horse will sigh, drop her head and close her eyes. You can almost hear the “thank you” in the sigh. Remove the blanket and heating pad. Using your EQUISTIX®, gently roll out the muscles along your horse’s back and neck. 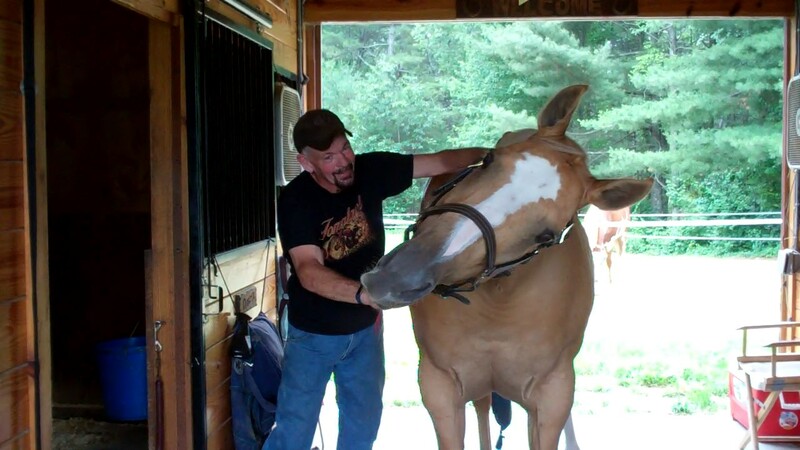 She’ll stretch out her neck for you and you’ll have a very happy, warmed up horse. You can do this warming routine for your horse in about 15 to 20 minutes. The cold winter temperatures and snowy weather can limit our time with our horses and this routine is a wonderful way to stay to connected with your horse until spring is here! 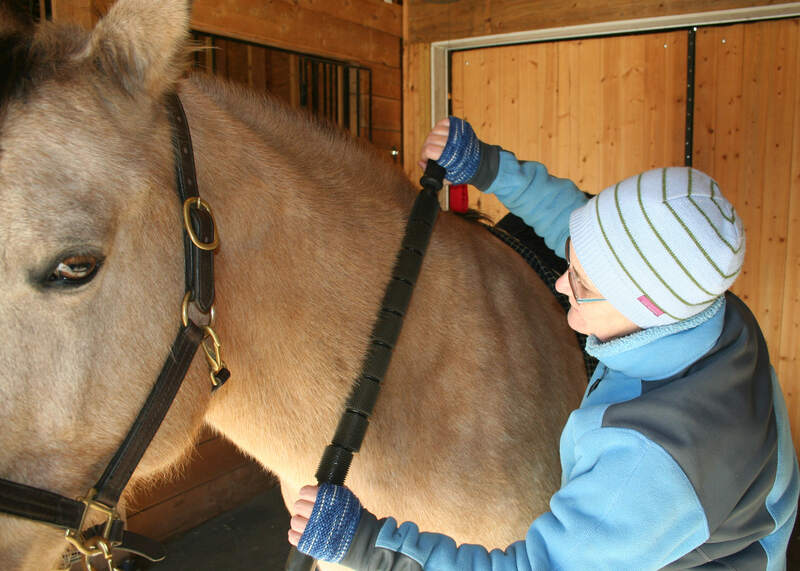 EQUISTIX® is a muscle massager designed for your horse. A gentle rolling massage is something that you can learn to do for your own horse; anytime, anywhere. The outer combs are soft and gel-like to roll smoothly along the large and hard-working muscles of your equine athlete. 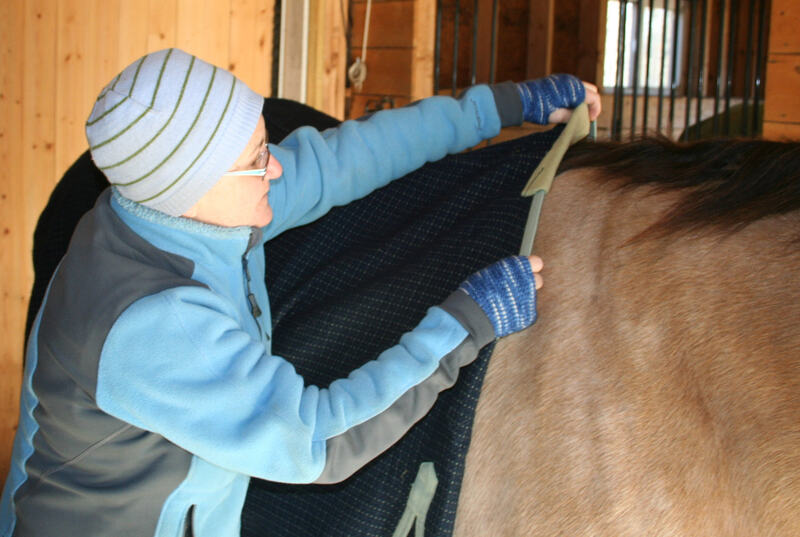 You’ll find EQUISTIX® to be a user-friendly, self-help Equine Massage Tool. With it’s gentle rolling massage technique, you’ll invigorate muscles with fresh, oxygen-rich blood helping to improve performance, reduce the risk of injury and deepen the bond with your horse.